This is a card we made for Stamp Club Friday night. I love the color combination. 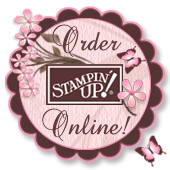 If you haven't tried Stampin' Ups! "Presto Paper" you are going to love it. It is so nice that you can change the paper color into what ever colors you like. I used Pumpkin Pie, Rich Razzleberry and So Saffron. I used a sponge dauber to color the paper. Then just take a paper towel to take off any extra ink. a 6X6 scrapbook page. But realized not everyone scrapbooks. So with that in mind I kept the same supplies out and had the card makers fold the 6X6 in half and then they could make a card instead.So here are the supplies I used. Stamp Set: July Forth # 120063, Red,White and Blue Stamp around wheel. Ink: Brilliant Blue, Real Red marker and ink cartridge. Punches: Scallop Circle, 1 3/8" Circle,1 1/4" Circle, 1" Circle, Large and Small Star. These cards were pretty quick and simple. Have a wonderful 4th of July. Hope you have a chance to spend time with friends and family. Remember to honor all our service men who are fighting for our Freedom! This cute little Card holder make a wonderful little gift. I was inspired by Sandy Hancock. I check out her bloghttp://www.sandystamper.com/ and there were not any instruction so here is my version. I just love the bright color combination in Stampin' Ups! designer series paper " Island Oasis ". The girls really liked this project. It is so nice because you can get two covers with one sheet of 12 x 12" DSP. We also made four card with stamped matching envelopes. The inside is pretty cool too! I cut off the flaps of four envelopes and adhered them together. Then made a belly band to hold the pack together. Here are some more pictures. I hope you like this little project!!!! Check back soon. Thanks for taking your time today and looking. More Sneak a Peek from the New 2010-2011 Catalog!!! Soooo happy one a my favorite colors Baja Breeze is back. I missed this color. I love this color combo Baja Breeze and New Early Espresso. So here is my little creation with new goodies from the new catalog. I hope you like this card as much as I do. Love this new 2 step stamp set called " Awash with Flowers". 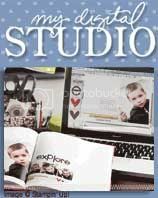 This stamp set is free with a $350.00 workshop until April 30th. 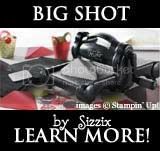 One of the best things about being a Stampin' Up demonstrator is we get to order supplies and stamp set before they are out for out customers to buy. So here is one card I made with this set. Paper: Whisper White, So Saffron, Chocolate chip. DSP "Sweet Pea"
Do You like bright colors? Well here you go. This stamp set is one of those stamps sets that is a must have. So easy to use with Stampin' Ups new clear mounted stamp sets. Colors used to make this card are Melon Mambo, Rich Razzleberry, Old Olive> I used the Scallop Trim Corner punch in Rich Razzleberry to make the border on both side of card. A little different but I think it worked. Pretty fun card to make. If you need more detail to make this card. Just zip me out and email and I woould be happy to help you. In fact if there is anything on my blog that you need help just email me at smac208@yahoo.com and I will get back to you. Here is my Mojo Monday #134. Also a sneak peek at new Designer Series Paper and new Stamp Set.These will be available on May 1st in the new Summer Mini Catalog. This fabulous new paper is called "Island Oasis" It has a great tropical flair. With colors that are so bright and cheery like Tempting Turquoise, Pumpkin Pie, So Saffron,Rose Red and Old Olive. I am loving these colors. The new stamp set that goes perfectly with "Island Oasis DPS" . Is called "". 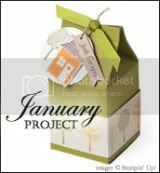 So nice for Summer BBQ, invitation, and scrapbook pages.